9:00 AM: The Orthros Service for the Feast. 10:15 AM: Τhe Divine Liturgy. Very Rev. Arch. Vicar Fr. George Jweinat, Presiding. 11:30 AM: The Lamentation for the burial of the Lady Theotokos. 12:00 Noon: The Procession of the Dormition icon. 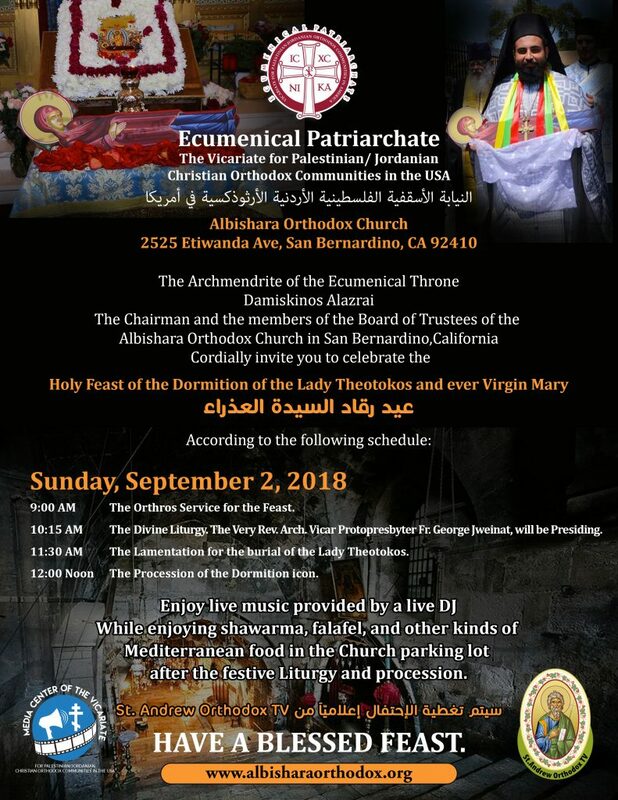 While enjoying shawarma, falafel, and other kinds of Mediterranean food in the Church parking lot after the festive Liturgy and procession.